The matte printing on a textured card gives it a little something extra. The yellow on the top right is slightly overexposed so it helps to do some tweaking on the computer after a test print. I’ve run out of textured paper sadly so will redo this on the second run. 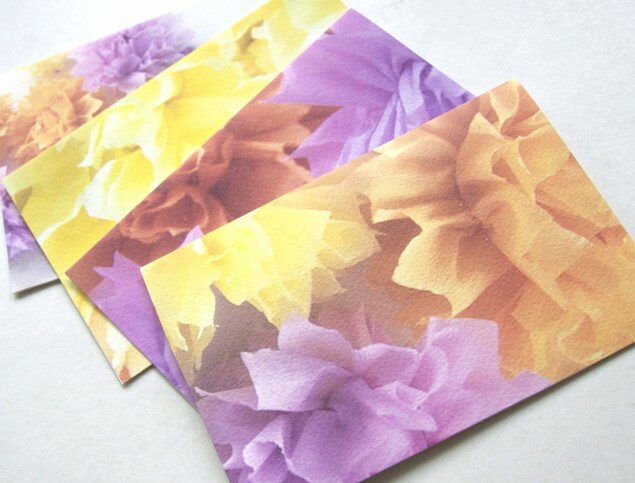 If you’re having a theme party full of crepe flowers, take this further and use cards prepared beforehand as placecards, placemats or even thank you cards for guests. 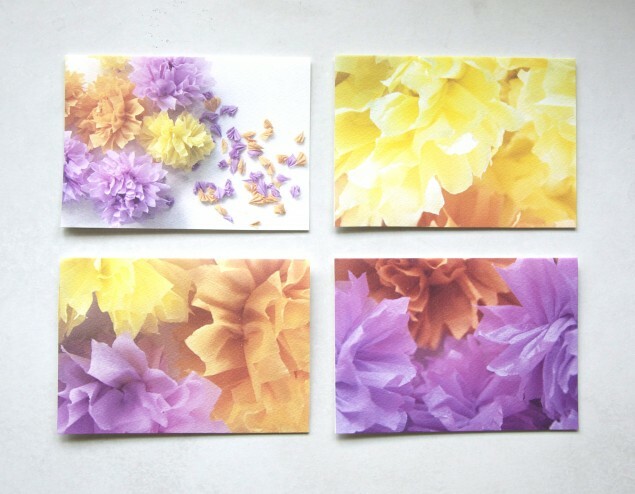 psst: click here if you missed the previous tutorial on how to make crepe flowers!